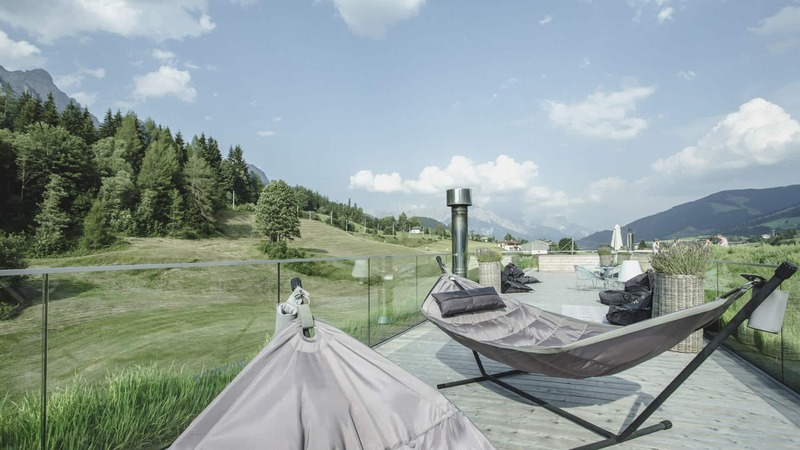 Nothing, except pure silence and the unobstructed view of the Leogang Mountains, welcomes you in the empty room – a place of quite and retreat, that lets you feel the magic of the Alps. 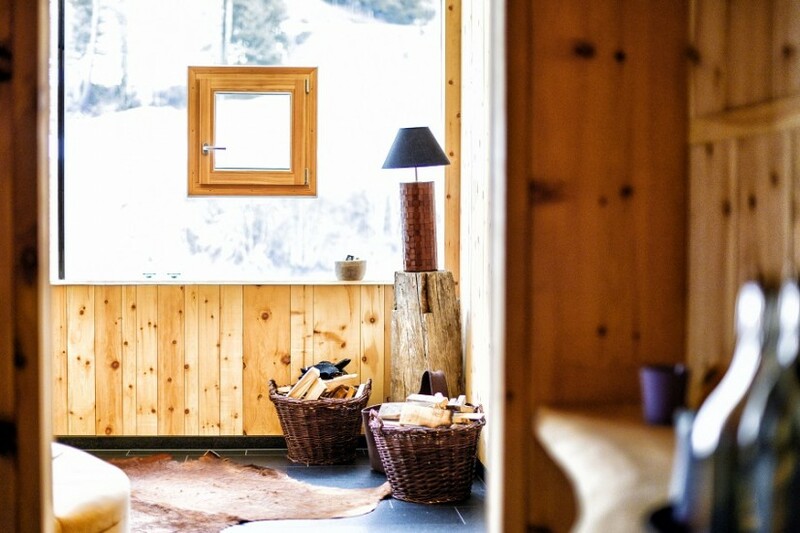 The large glass window fronts onto a spectacular view. Places to lie and sit have been carved out of the solid wood panel by hand. 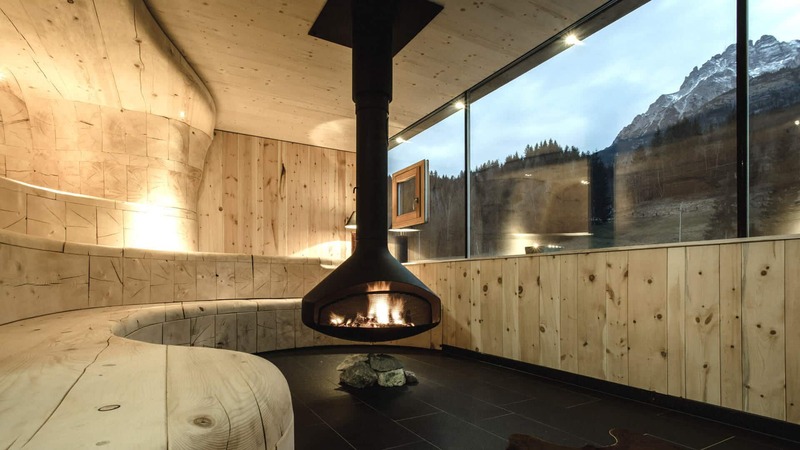 Interior elements include a classic floating chimney from the sixties, which illuminates the surroundings with its blazing fire. 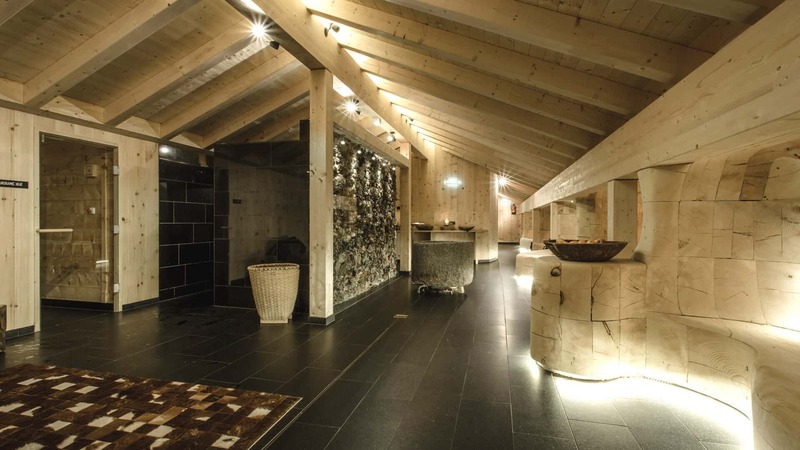 A Finnish panoramic sauna with mountain views, cooling rock showers and fresh air room awaits you. 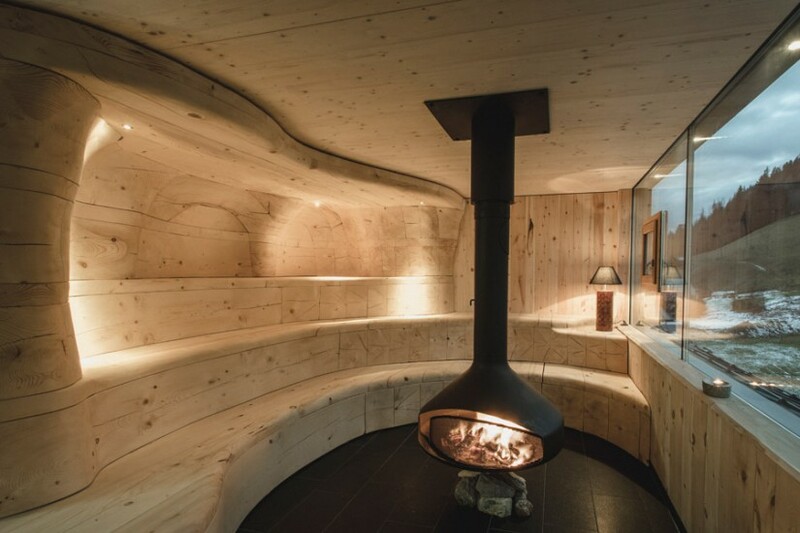 Right next to panoramic heat, you can find the rest coves, organically shaped resting bunks. 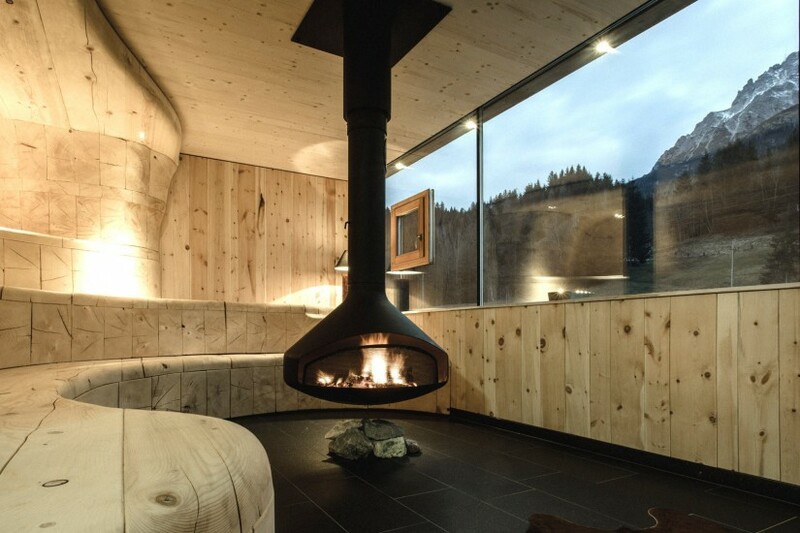 A place of quite and retreat, that lets you feel the magic of the Alps. The roof terrace is the perfect place to enjoy being in the open air.